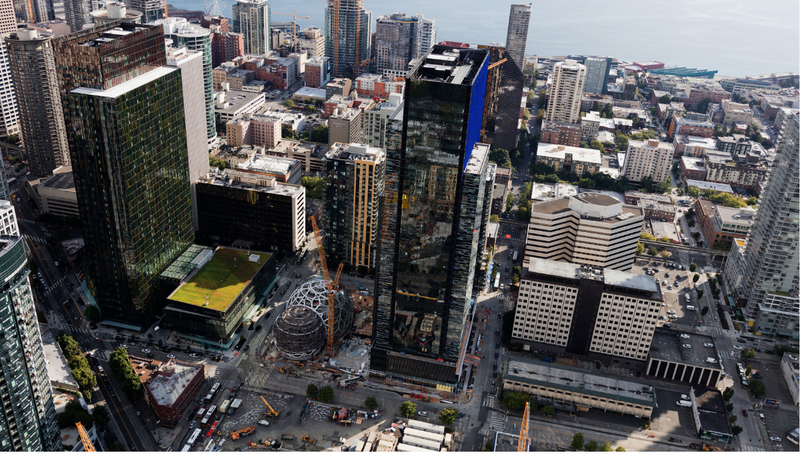 Seattle: Amazon, the business giant, finally opts for two locations for setting up its second headquarter. The decision making was tough, but the company reportedly picked most suitable locations for centralizing its operations. According to the Wall Street Journal’s Monday Report, people who are familiar with the matter of HQ2 location have hinted that the Amazon’s second headquarter will be split evenly between New York’s Long Island City and Arlington Country’s Crystal City neighborhood. This makes Amazon placed at three major coastal areas. Amazon listed detailed selection criteria for its second headquarter. The must-haves of the location included an urban or suburban area with a 1 million population size, a nearby major airport, access to mass transit, and lots of technical talent. The company offered about 50,000 new jobs and an investment of $5 billion to create and operate the HQ2 as stated in The New York Times. As obvious, the above-mentioned proposal drove the state authorities crazy. Amazon received proposals from 238 different cities in around 54 states, provinces, and districts. While the bids continued to come, Amazon took a whole year to make its final decision. Amazon shortlisted around 20 locations and made tours to inspect the location and meet local business bodies. After extensive research, the news broke that Amazon is going to divide the headquarter two between two cities receiving equally divided jobs and investment. However, the verdict came in favor of the New York City. A mass of people in New York has already geared up for the protests. This is because of the fact that how Amazon’s empire affected life in Seattle. The New York City Council Deputy announced a protest to be held this Wednesday. However, the New York Governor Andrew Cuomo is firm on taking up this opportunity to welcome the Amazon’s HQ2 at any cost! “I am doing everything I can. We have a great incentive package, I’ll change my name to Amazon Cuomo if that’s what it takes. Because it would be a great economic boost.” Governor Cuomo said. However, one thing is evident that this bidding process gave a great insight to Amazon for its future expansion. The company saved a lot of research efforts that otherwise would have taken longer to reach a decision. The things have spiced up, and it seems like a great controversial issue is on its way. Stay tuned to learn more.